On July 4th, Their Royal Highnesses will meet HRH Prince of Wales in Llwynywermod, Wales. Monday, July 7, Crown Princess and Prince Radu will meet the Earl and Countess of of Wessex at their home, Bagshot Park in Surrey. During the visit, Their Royal Highnesses will meet with representatives of business, civil society, the diplomatic corps, as well as scholars. Traditional links between the Royal Houses of Great Britain and Romania strongly manifested today. 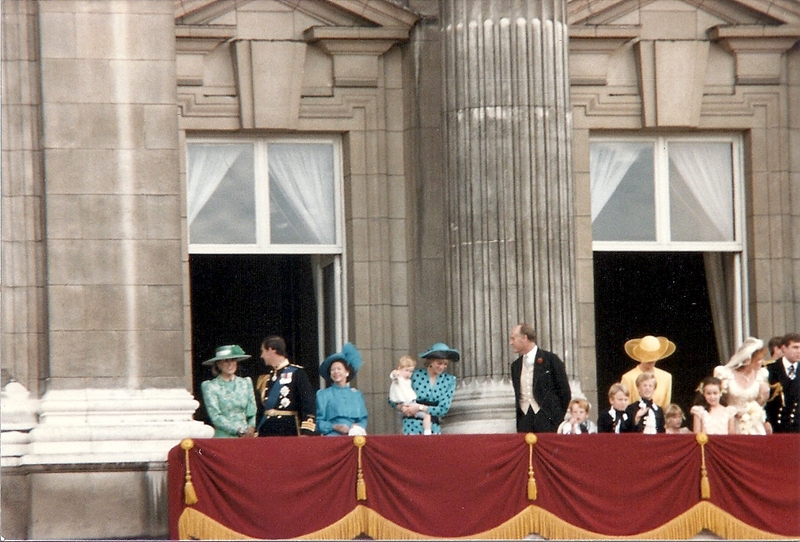 The two Royal Families celebrate together by tradition, birthdays and important events. In the UK, the Royal Family of Romania participates annually in public or non-royal visits. Since 1998, the Prince of Wales,who owns several properties in Romania, tries to visit the country, nearly every year. The Prince of Wales has spent time with the Crown Princess and Prince Radu, in the Romanian countryside and at the Elisabeta Palace in May 2011. The latest meeting of Their Royal Highnesses the Prince of Wales took place in May when the Prince of Wales received an honorary doctorate from the University of Bucharest heir. The Earl and Countess of Wessex visited the Elisabeta Palace in June 2013, and were welcomed by Their Royal Highnesses Princess Margarita and Prince Radu. What is the current public profile of the Crown Princess and her husband in Romania? Do either of them have any sort of official or semi-official role? Are they covered much in the Romanian media? I'd be interested in anything you could share. No official role, but they do have dinners for guests at Elisabeta Palace, with government officials who attend these events. Garden parties, etc. Yes, there is a lot of coverage in the media. Also, Radu has a blog (in Romanian) but you can hit the translate button and see what they do. Marlene do you think there is any hope for a restoration of the monarchy in Romania? Does CP Margarita ever give a public opinion on the matter? No. Margarita in certainly in support but there is no real monarchist movement in the country. Romania has serious economic and other issues .. There is a significant and growing pro-monarchy movement in Romania. They are high profile and very well organised. They hold rallies and marches in Bucharest and other major cities. To state that there is no hope for a restoration is both inaccurate and self defeating. If people are told there is no hope - then they don't come together to work and agitate for change. Thankfully Romanian monarchists are feeling very positive and are determined to be heard. They are also fortunate, in King Michael, in having one of the truly great Kings of modern times. Ps Margarita will make a fine successor. David, the number of monarchists is small with no real power, the marches and rallies are small in numbers. No power in government. No control of local elected bodies. It is hardly defeatist. Margarita and Radu do wonderful things, but Romania has serious economic issues that a monarchy won't be able to solve. The number of those who support the monarchy is NOT small…it is a very substantial minority and growing all the time. By definition, supporters of the monarchy have not attempted to create a political party or fight national or local elections - the monarchy is NOT a party issue - it is a national constitutional issue. No one is suggesting that monarchy or republic can magically solve Romania's economic problems but there is an increasing desire for a non political head of state who can act as a focus of national unity, consensus and reconciliation. A head of state who can represent the entire country at home and abroad in a much more effective way than the Presidency. That in itself will encourage growth, confidence and security. The constant refrain from you that restoration is impossible is disabling and undermining to the many thousands of Romanians who are working incredibly hard for a return to monarchy. Thy deserve support and encouragement rather than being dismissed as unimportant and hopeless.